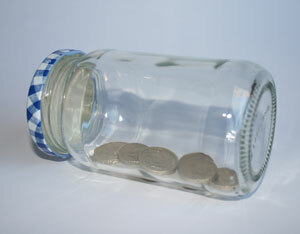 A recent study has revealed that almost a third of the population are putting no money at all into savings. The report by the Social Mobility Commission found that 31% of people in Britain have nothing left to save at the end of every month, with 4% saving under £10. Around half save £100 or under, with only 23% saving more than £200. The alarming figures correlate with Prime Minister Theresa May’s focus on helping ‘the JAMs’ – families who are ‘just about managing’. The dismal interest rates of the past few years have also given people little interest to save. Banks and building societies have also been criticised for exploiting savers through the slashing of savings rates following the Bank of England’s decision to reduce the official interest rate from 0.5% to 0.25%. Official figures suggest that the British public is now saving only 5.1% of disposable income, down from 7.4% just two years ago. However, the Commission also looked further back to criticise both Labour and Conservative governments for not doing enough to support those less well-off and improve social mobility. This is backed up by a recent YouGov poll also carried out for the Commission, which found that 45% of respondents believe that a person’s position in British society is primarily determined by your parents’ position and your social background. Only 29% believed that the British people could determine their own position through talent and hard work. Moreover, 55% believed that children from privileged backgrounds were better able to secure university places than those from less well-off families. The Commission’s study also looked at how representative different professions are, with some of the most desirable careers faring the worst. Only 4% of doctors currently come from a working class background, with barristers and solicitors offering figures of just 6% and 12% respectively.